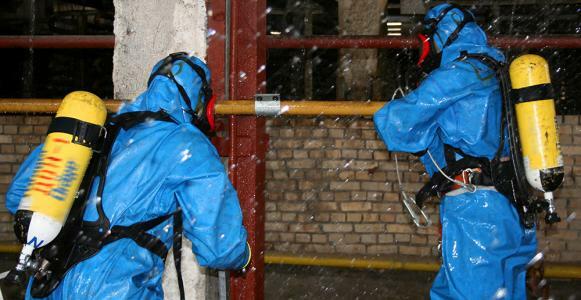 The training covers the skills and knowledge required for staff responding safely to hazardous materials incidents in the workplace and on-site HAZMAT emergencies. • Read and interpret a meter and then communicate the conclusions. • Writing is required to the level of completing required workplace reports/forms. • Numeracy read the instrument and interpret the results as being safe/not safe and so determine the required actions. Participants are required to be on time for all courses and bring a form of identification such as Australian Drivers Licence or Medicare Card for verification of details listed on the course enrolment form. Due to the practical nature of this course, participants will be required to wear suitable attire such as long pants and work boots. Where appropriate other PPE such as High Visibility clothing, safety glasses and hard hats are to be worn. For additional Participant Responsibilities, refer to the participant handbook. Face to Face training including both theory and practical components. Where Can I View the Units of Competency?